Please note that Einstein’s will be closed on Sunday, November 26. For complete library, café, and Help Desk hours please view our hours calendar. The Deloitte Café (Einstein’s) closes at 4:30 p.m. on Tuesday, November 24, and reopens at 7:30 a.m. on Monday, November 30. For more information about the library or cafe hours please view our hours calendar. Have a wonderful Thanksgiving break! Please note that the Deloitte Café (Einstein’s) closes at 8:00 p.m. on Tuesday, November 25, and reopens at 8:00 a.m. on Monday, December 1. I have a morning ritual here at the library. I arrive just before 8:00 a.m., put my bags down at the Reference Desk, and head into Einstein’s for a cup of coffee. On Friday mornings I pause to see if the most recent Vanguard has been added to the newsstand. I often flip through the paper during my 8:30 a.m. reference desk shift while awaiting the day’s first questions. One recent morning I opened the paper to find that the library and the reference librarians had been mentioned in a Vanguard editorial titled “Things We Love About Bentley”. The entire staff was genuinely surprised and thankful to be included on the list. That experience, in conjunction with the arrival of the Thanksgiving season, prompted some reflection. Every Bentley Library staff member has many reasons to be thankful, but we are all especially grateful for the enthusiastic support we receive from the Bentley University community. To all Bentley faculty, staff, students and alumni, we say “thank you”. We appreciate the kindness, generosity and dedication you show to the library every day, and we are thankful to have you as friends and colleagues. 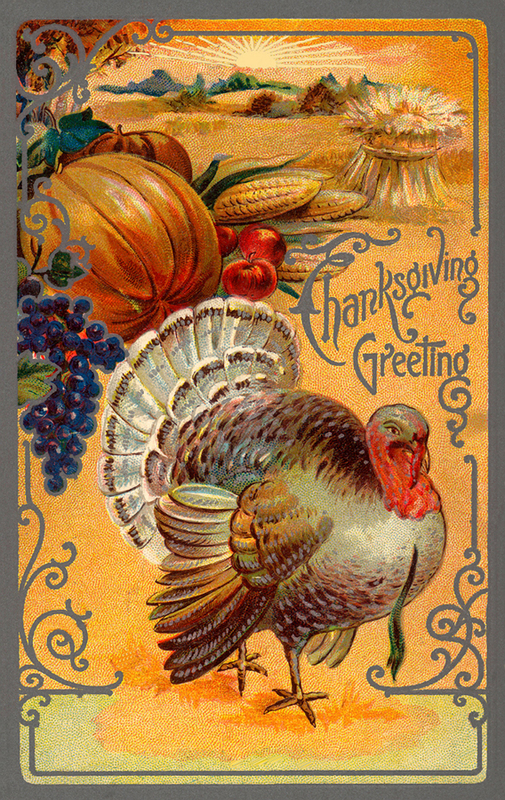 Best wishes to you all for a very happy Thanksgiving! The Deloitte Café closes at 8:00 p.m. on Tuesday, November 26 and reopens at 8:00 a.m. on Monday, December 2. For more information about the library or cafe hours please view our hours calendar. Happy Thanksgiving! Please note that the Deloitte Café closes at 8:00pm on Tuesday, November 20, and will not reopen until 8:00am on Monday, November 26. Please note that the Deloitte Café closes at 4:00pm on Tuesday, November 22, and will not reopen until 8:00am on Monday, November 28.